I am really distressed and sad today. Some of my Pakistani friends and acquaintances, who are refugees in Thailand have been rounded up and thrown into prison recently. The only crime, which they have committed is 'seeking protection' from being persecuted for their religion in Pakistan. Sadly, even if they are officially recognised by UNHCR, as people, who need international protection, Thai authorities' policies do not grant them any privileges. On a contrary, in view of the law, they are considered as illegal migrants and, as such, are simply subjected to arrest in immigration detention centres (IDCs) for an indefinite period of time. Some promises were made that the immigration laws of Thailand would be revised. However, so far, despite passing years, not much progress has materialised though. The tragedy is that no one has any idea on how to solve the problem. 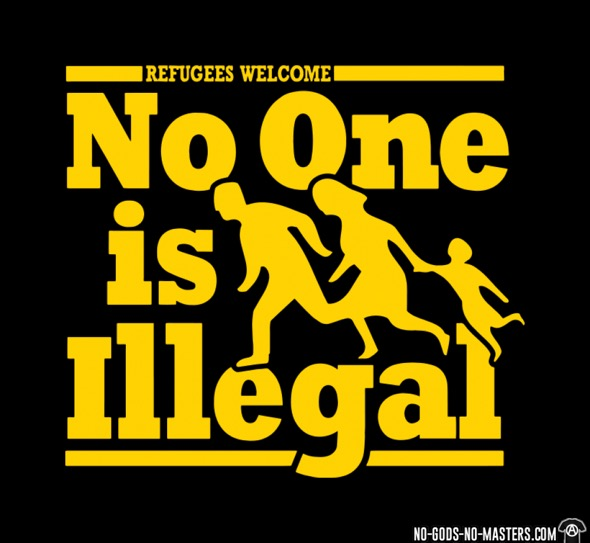 Refugees will not be sent to their countries of origin, as there is a risk that they would be harmed or killed in places, from where they fled (Thailand abides to non-refoulement policy). In the same time, they are not given any protection within the country. This creates a situation, where those, who are apprehended, are stuck in a legal limbo. It is not allowed to offer them services of any sort, and it is also illegal (rightly so) to deport them out Thailand. Bottom line is that the refugees and asylum seekers end up in detention centres (prisons) for a prolonged period of time (if not for ever). Perhaps slightly colloquially, there is no exaggeration by stating that people are left in prisons to rot, for no apparent and comprehensible reason. Tragically, we all know it, and no-one is able to do anything to prevent it, even if the solution is very simple (change the law)! Quite horrific, if you ask me. On a personal and egoistic level, I am very happy that we have managed to get Tahir from this vicious circle, and that he is now safe in Canada. I would be getting sick from being worried of him now, were he to be in Bangkok at this point of time. However, even if he is safe, the awareness that many others are in this hopeless situation is very difficult to accept. Clearly, together with some of my colleagues, we keep on talking to the authorities, trying to persuade for the law revision. Progress is very slow and things look grim though. Even grimmer, if you realise how bad the living conditions in the detention centres are. The situation of the refugees is quite similar in most of the countries of Southeast Asia. Across the region, there are no laws protecting this group of people, and systematically very little is done to alter the reality. As an immediate measure, I am trying to support some of the Pakistani refugees financially, so that they do not need to engage in risky survival coping strategies (meaning that they move out of their homes as little as possible), but I struggle supporting everyone. So in case, you would like to help out financially, please do get in touch with me, and I will suggest what could be done.